Victory Venkatesh and Mega Prince Varun Tej are all set to impress the audience with an out and out entertainer ‘F2: Fun and Frustration’ directed by Anil Ravipudi. 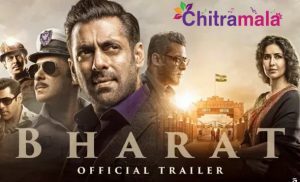 After increasing the expectations on the movie with a fun-filled teaser, the makers now released the trailer of the movie. The 2 minutes 2 seconds video is now going viral on the Internet. The trailer video gave us a glimpse into the story of the film about how Varun and Venky get married but gets frustrated with their behavior. Keeping the chemistry between the heroes and heroines aside, the chemistry between the two heroes is undoubtedly the major highlight. The music scored by DSP is pleasant. The promising trailer proved that the film is definitely going to impress the audience. Sirish and Laxman are bankrolling this project under Sri Venkateswara Creations banner. The movie will be released on January 12th, 2019.